Ken-Gøran Mikkelsen is a unique musician and composer from Skjervøy, born in 1980 and is now living in Borge, Vestvågøy in the Lofoten Islands. His background is from the Norwegian, Sami and Kven. He has studied trumpet under supervision of Arne Bjørhei at the Music Conservatory in Tromsø, and he has studied organ for one year under supervision of Bjørn Andor Drage. 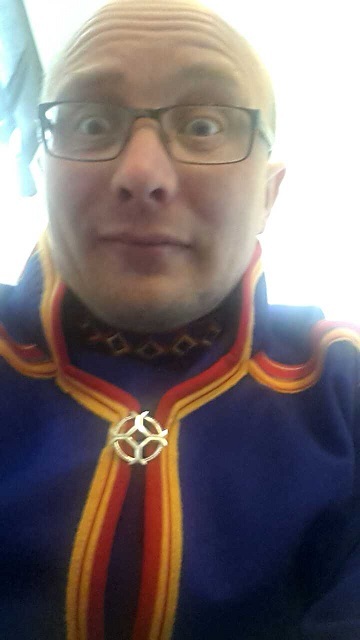 Ken-Gøran has also studied at the "Kristelig Utdanningssenter Nord (Girkolaš Oahpahusguovdáš Davvin)" under supervision of Stephen Sirris. In addition, he has one year at Manger Folkehøgskole. 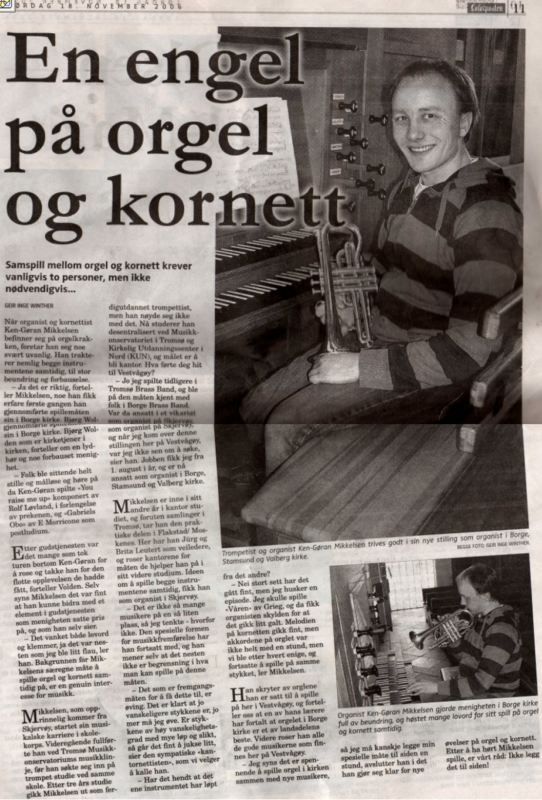 What makes Ken-Gøran unique is that he is able to play the organ at the same time he is playing the trumpet. This is quite an achievement and an act he likes to bring to his concerts. Ken-Gøran Mikkelsen has become an established trumpet player, organist, composer and conductor. He works as a professional freelance musician as well as conductor and composer. 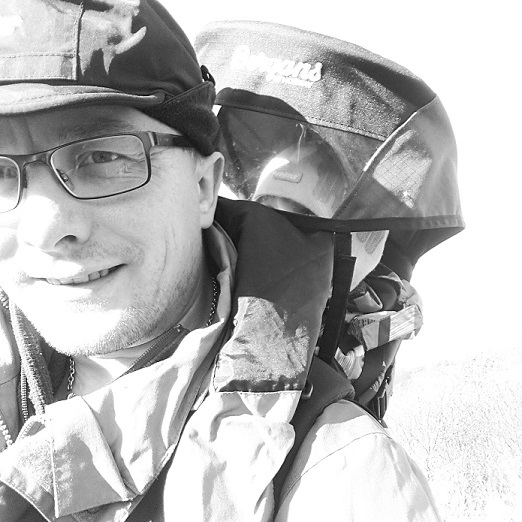 In addition to being a freelance musician, Ken-Gøran works as an organist/cantor in Vestvågøy, Lofoten Islands. He has released one CD together with the ensemble Cantus Polaris, a group that has played numerous concerts in Norway from 2005 - 2013 as well as appearing several times on Norwegian television. Cantus Polaris has given Ken-Gøran and the other members the opportunity to grow as professional musicians. Ken-Gøran is conducting five choirs where two of them are children choirs. In addition, he is often a guest conductor and instructor at seminars for big bands, marching bands and choirs. His resume is filled with achievements and professionalism in which the music environment in Norway seems to enjoy. You can read more about his achievements as a conductor here. As a composer, Ken-Gøran has written several pieces for choir, brass band, big band and orchestras. Several of the pieces have been composed on requests from choirs and bands. The most famous piece he has composed is a Gloria (2013), which is being used regularly in different churches in the Lofoten Islands. When he is not touring with his trumpet, organ, and piano or as a conductor, he spends his time composing music. 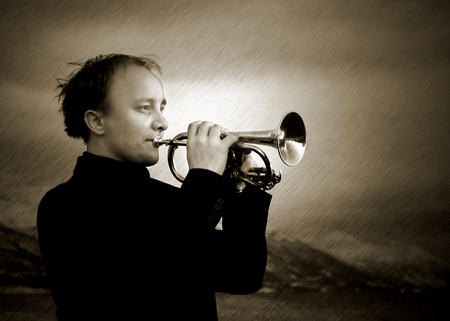 In 2015 he composed several folk tunes from Borge (in the Lofoten Islands) for trumpet, euphonium and organ to the concert series "Lofoten Sommerkonsertr". He also has several other projects going, so beware folks. Some great new music might soon be coming from the Lofoten Islands.